Perhaps the chief selling point of these graders is the fact that the operator has extended visibility, and is even able to view all the working parts of the machine below. This wider range of visibility contributes to the cost efficiency of the machine,getting work done more accurately and faster. 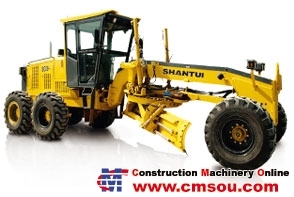 And because Shantui is the nation’s construction machinery leader in manufacturing, efficiency, quality and control,these machines come off the line at a very attractive price point. Motor grader models include the SG16-3, SG18-3 and SG21-3. All are similar in characteristics, except for the graduated engine size and power ratings. The “3” stands for 3rd generation.